Make low fat Dahi at home for help with your weight loss. It has 120 calories with up-to 7 Gms protein. 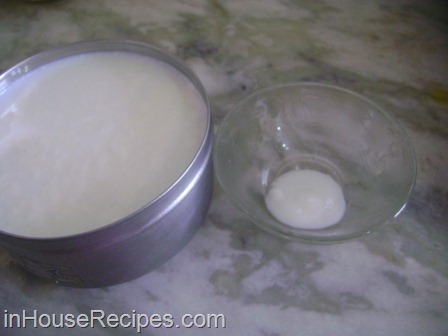 Make creamier Curd with tried and tested recipe. 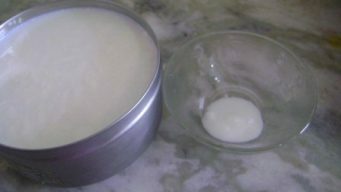 Dahi or Curd or Yogurt is a by-product of milk. 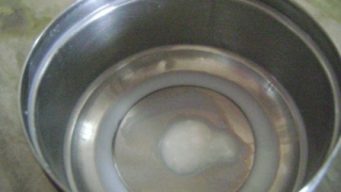 In India, people normally make it at home using standard milk. It is certainly more tastier and hygienic when made fresh at home. The one we are sharing here is the Fat free to help you with higher protein requirements, helping in controlling and reducing weight. 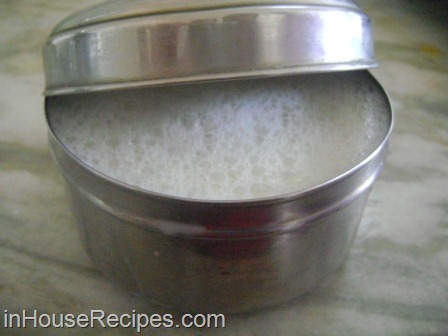 Dahi making process is simple with most of the hard work done automatically by the good bacteria present in Milk. Yogurt is one of the primary ingredient in Dahi Aloo, Dahi Sandwich, Dahi Kebab and many more. What can replace the home made creamier dahi with ready-made available in market. As far as we know, you can't really make dahi without Jaman. 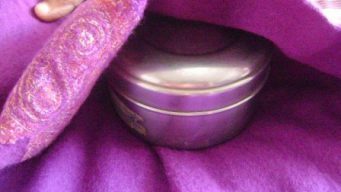 Jamun is nothing but a small sample (about 1 tsp) of pre-existing curd. 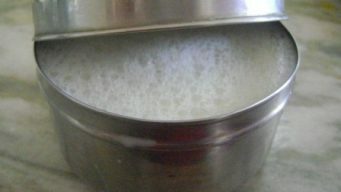 It is required to start the process of curd making with milk. Dahi made at home has shelf life of about 10 days if refrigerated. The one you buy from market would probably have much lesser lifetime due to its already spent time from factory to retail store. 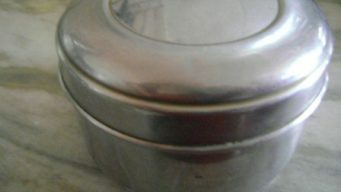 1/2 tsp Curd (Yogurt) Small Plain Curd Sample - Dahi or Jamun as called in Hindi 500 gms milk Whole or Skim or 2% fat as you like. Use skim for low fat yogurt. 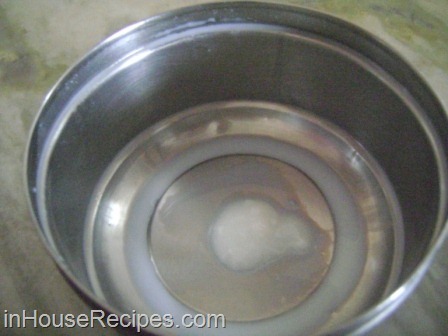 We have taken 1/2 Tsp of Curd sample (called Jamun in Hindi). 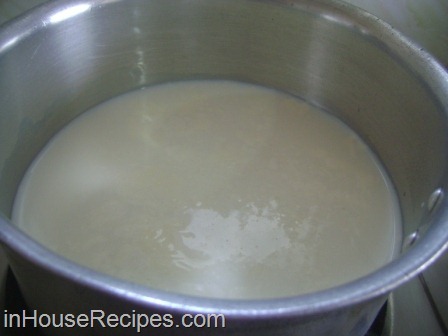 1/2 (Half) liter of Milk to make approximately 1/2 kg of Curd. You can use whole milk (full fat) or 2% fat milk (toned) too. We are using fat free milk (Double toned). Heat milk in a bowl on medium flame. Note that we only need to slightly warm the milk no boiling required. It should be done in approximately 2-3 minutes. Once done, switch off the stove. Now take an empty bowl. Add Jamun 1/2 Tsp of Dahi/Curd. 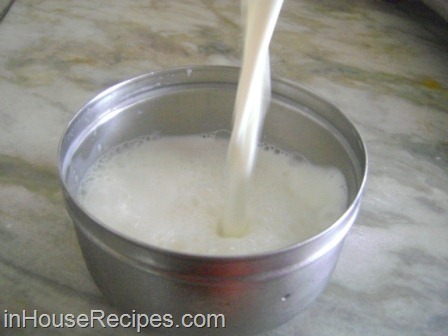 Add warm milk over the curd and juggle Pour in another bowl and then again in first bowl for 5 times. Please note that juggling is very important to make thick and sweet curd. Make sure that you do it for at-least 5 times. Juggling is important for good quality Curd. 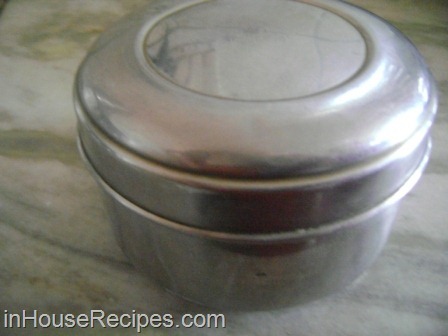 Cover the bowl with the lid and keep it aside for 4 hrs. After 4 hours, your curd will be ready to serve. 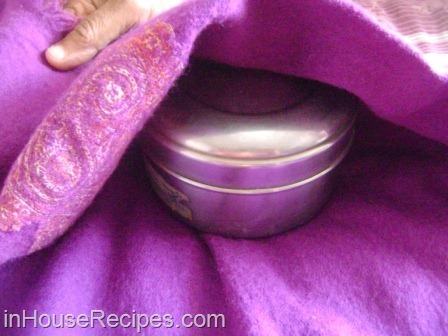 If you are making Curd in winters, you need to wrap it in a warm cloth and also keep it in a warm place. It will ready in about 6 to 7 hrs. 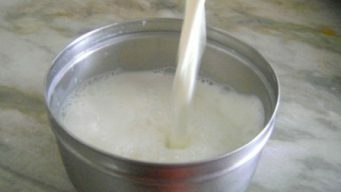 The curd making process is actually a process in which the bacteria a type of microbe need to multiply and they need warm environment to grow. This is exactly what we are trying to do here by inducing bacteria in milk by using Jaamun curd and helping them grow by keeping the container warm. 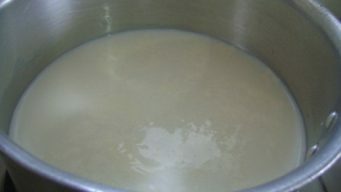 After 4 hours in summer and 6 hours in winter, the curd would be ready to use. Curd is ready to serve. 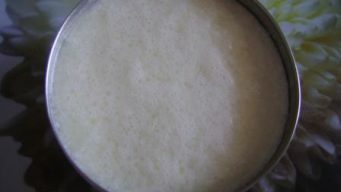 The curd needs to be refrigerated to have a shelf life of up-to 7 days in winter. If you do not refrigerate, try to use it within 1-2 days. 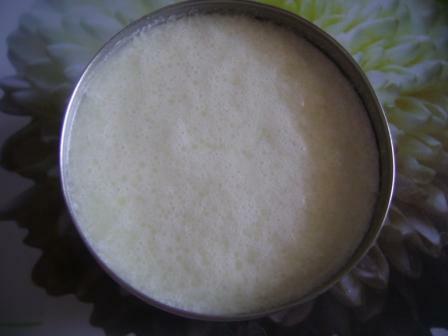 If not refrigerated, the curd will turn sour within 48 hours. Don’t worry, there are multiple recipes where even the sour curd is beneficial. Use the fresh Dahi to make Raita. Dahi can also be used as a taste neutralizer in any recipe. For example, if your preparation has extra hotness due to spices, you can add a tablespoon or a teaspoon to reduce the spice levels.Restaurant chefs add Dahi to Coriander chutney to bring a lighter color along with stabilizing the taste of Cilantro. We call it Dahi Dhaniya Chutney. We would love to know your way of doing the same thing too. Please share your comments and suggestions in comments. Thanks.